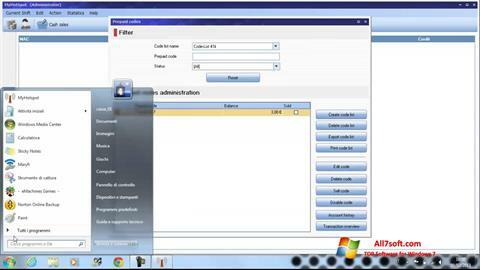 MyHotspot for Windows 7 - an application for configuring an access point based on the built-in network adapter. The utility has a step-by-step wizard and manual configuration mode, allows you to set permissions, includes a built-in rule editor and the ability to import network settings. The program supports the use of SSL certificates, URL whitelists, common encryption protocols, contains a client web interface and the ability to redirect specified IP. The utility allows you to set a custom traffic limit and configure authorization parameters using individual access keys. You can free download MyHotspot official latest version for Windows 7 in English.